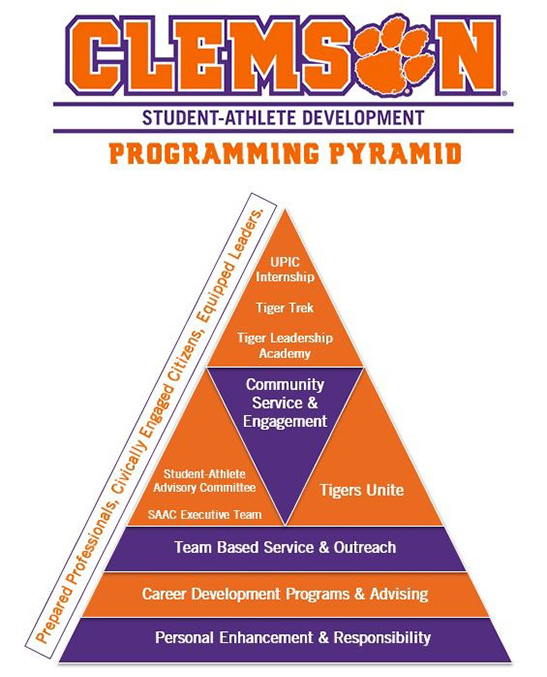 Clemson Student-Athlete Development is dedicated to the holistic development of student-athletes to propel them toward success at Clemson and in life through career development, community service and outreach, leadership development, and personal enhancement and responsibility. To enhance the career readiness of student-athletes through work experience, consistent mentorship and a professional development curriculum. Student-athletes aim to complete at least 10 hours of service per year and two entire team events. 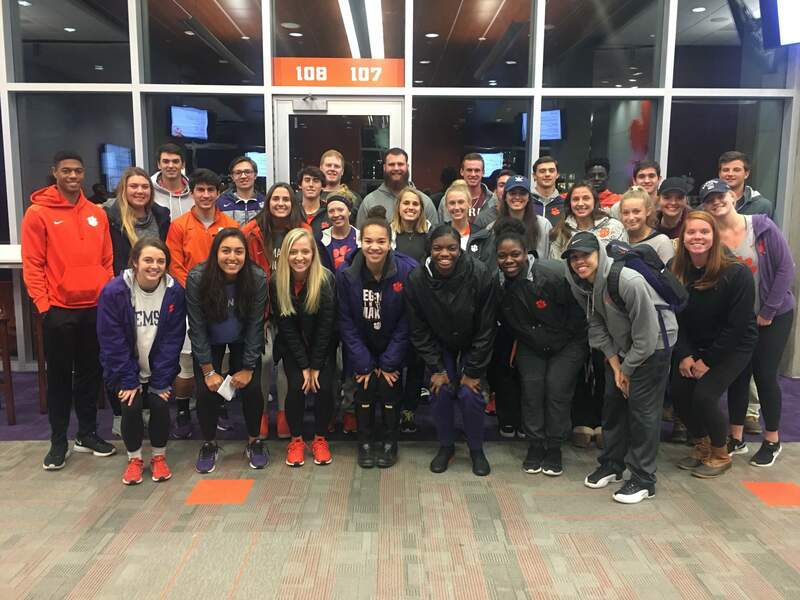 Outreach projects are aligned with student-athletes’ passions to enhance their opportunities at Clemson and after college. Establishing partnerships within our community to provide intentional service and develop civically responsible adults. 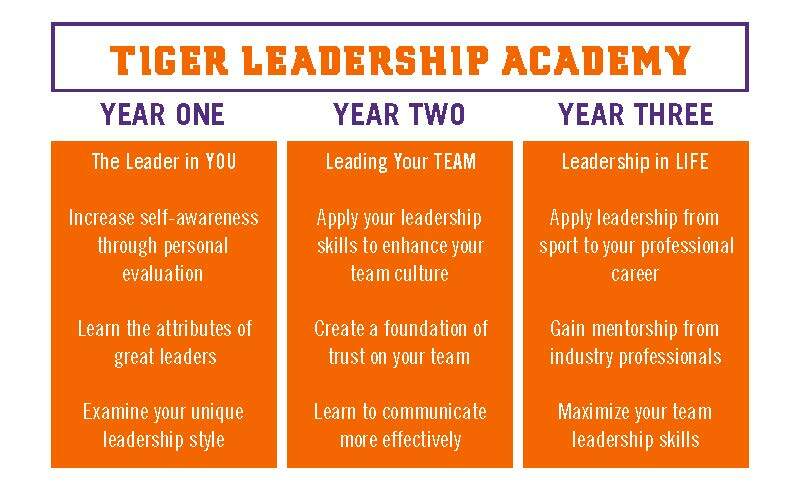 The Tiger Leadership Academy is a three-year program designed to enhance student-athletes’ leadership abilities, and increase their effectiveness on their teams, in the Clemson community, and in life. 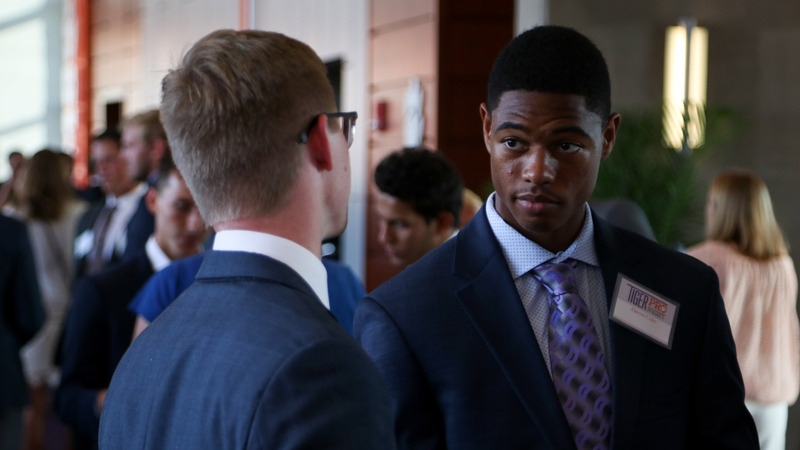 The Academy uses research-based leadership curriculum, individualized feedback from coaches and peers, and alumni mentorship, to cultivate a positive college experience, cohesive and high performing teams, and professional success. 12-15 sophomore student-athletes will participate each semester coinciding with their off-season. These individuals will commit to becoming strong leaders, collaborating with others, and gaining personal development skills.